I’ve always felt like cars need to be driven in as many circumstances as possible. As a car guy, I’ve always found myself at conflict with ‘garage-queen’ car guys who treat Honda Civics like Ferrari F40s. I always feel like pictures of hyper-clean cars are more ‘fake’ than cars with a bit of dirt on them. Therefore, my ride is normally a bit more ragged looking than most. It’s not intentional ,but it’s just a result of the lifestyle that my car exists in. She’s driven daily, normally covering 100 miles a day with my commute. 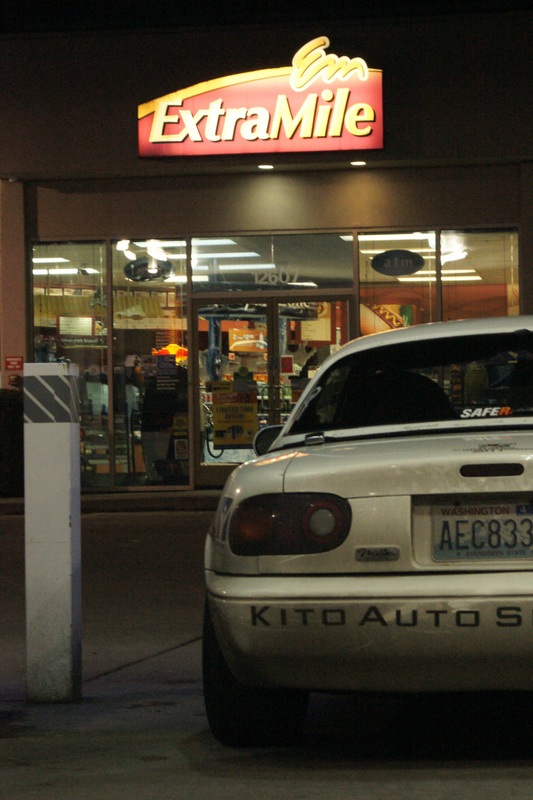 Fortunately, Kyoko is an exciting car to drive so every mile is just a joy. Granted, I’m not trying to win any car shows. If I were my outlook on car-life would be vastly different though. Anyway in the spirit of Kyoko, I spent Monday night with a friend trying to find interesting places to take some photos. Savvannah enjoys taking car photos, and I’m working on trying to find more interesting content for the blog, so it was a perfect excuse for a night-drive. We stopped by some of the typical car-shooting spots in the area. Mostly malls and gas-stations. The trouble with Seattle, is that I haven’t found many car hangouts that make for good photography that aren’t entirely out-of-the-way. We tried to come up with some interesting ideas for photography, but we’re both learning. So it was a bit hit-and-miss. I don’t want to just post all of the shots in one thread, because I’d like to save some for a rainy day. However, I’m super pleased with how these came out. 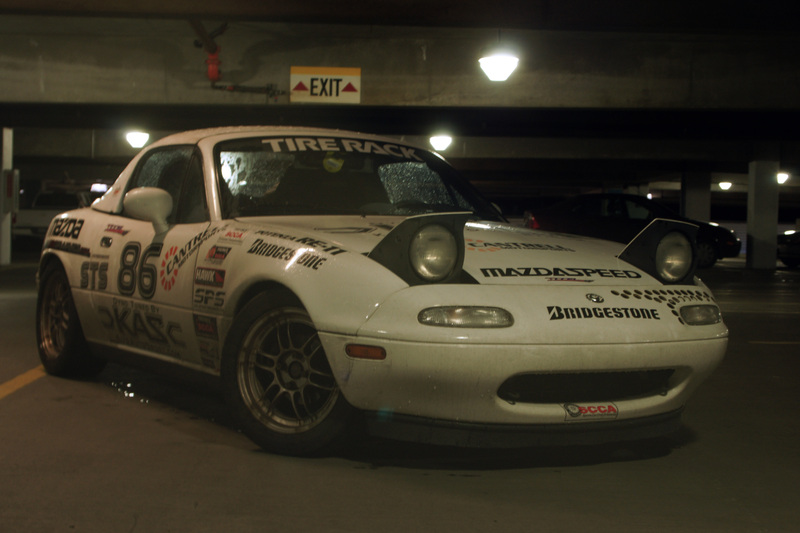 Soon, we should move onto moving photography once the autocross season comes around, and I have the money to take Kyoko to a proper track. 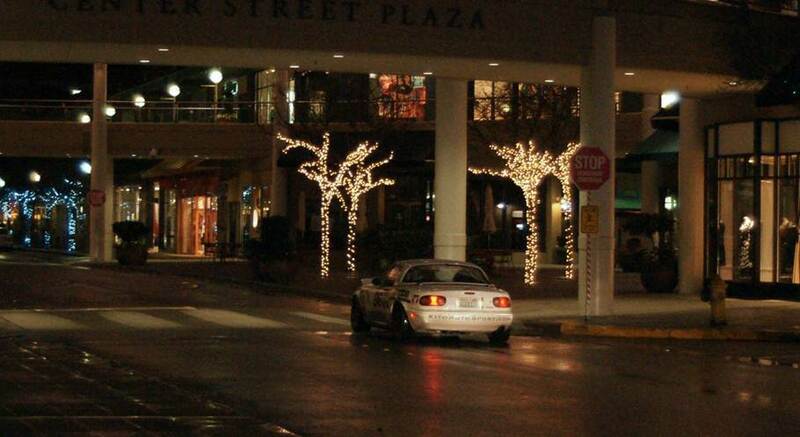 This entry was posted in Daily Driver Projects and tagged Kyoko, Miata!, Night photos, Project Kyoko. Bookmark the permalink. I just washed her, so we should get together and take some more pictures.